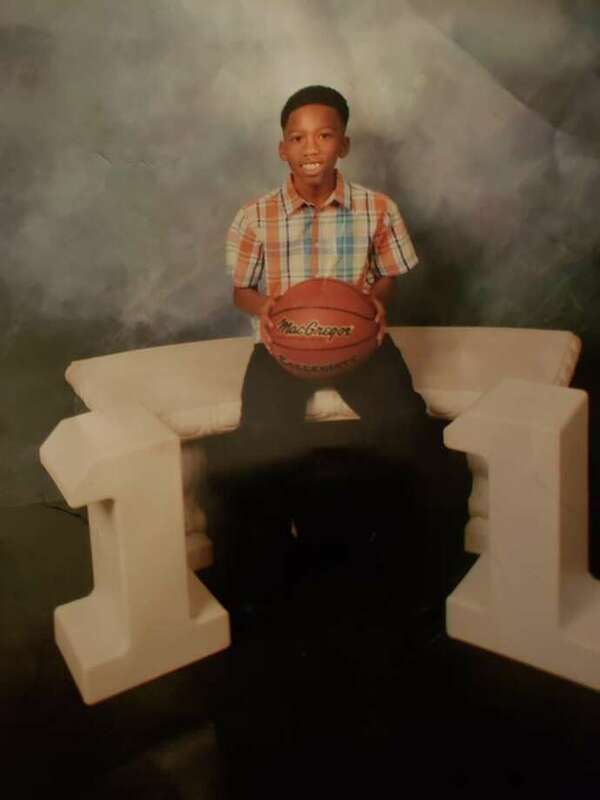 Jo’Anthony Harrison, 12, was killed last week in a crash in the 16200 block of Tomball Parkway. His mother said he was a devoted basketball player and James Harden fan. His dream was to play in the NBA, and he was recently looking forward to joining the school basketball team next year. Jo’Anthony Harrison couldn’t wait to join the basketball team at Aldine Middle School. It would have been the boy’s first major step toward his dream of playing in the NBA like his idol, Rockets Star James Harden. But last week, Jo’Anthony’s plans were cut short when he was severely injured in a car crash on Tomball Parkway. The Harris County Sheriff’s Office is still investigating the crash that occurred around 11 p.m. last Thursday in the 16200 block of Tomball Pkwy. The female driver who rear ended Jo’Anthony’s vehicle in is suspected of intoxication, but investigators are waiting on the toxicology report to file charges. One other woman was riding in that car, police said. Latonya said her adopted 24-year-old daughter was driving the Trailblazer, while Jo’Anthony, her biological son, sat in the back seat behind her. Police initially said he was riding in the front passenger seat. Latonya’s 2-year-old grandson was buckled into a child safety seat on the back passenger side. They were still talking on the phone when the Infiniti smashed into the car on the rear left side, Latonya said. Jo’Anthony had been wearing his seat belt the entire drive but decided to briefly remove it when the car stopped, she said. When Latonya heard the wreck over the phone, she left her hospital room and drove to the scene in her pickup. From there, she rode in the ambulance with Jo’Anthony and watched the paramedics take turns performing CPR on her son as he clung to life. “They were still trying to get a pulse, and just watching that was so terrifying,” she said. Latonya’s daughter and grandson were sore and bruised up after the wreck but ultimately released from the hospital. They were both wearing restraints, she said. Jo’Anthony was taken by Life Flight to Texas Children’s Hospital but died Friday. Latonya remembers the last thing she said to him the previous day. Latonya said she’s been feeling support from the church they both attended on Sundays, Christ Temple. She said congregants remembered her son as a good listener who didn’t give people any trouble. Aside from his passion for basketball, he was an honor-roll student who loved his family, she said. “So I will keep her in my prayers,” Latonya said.